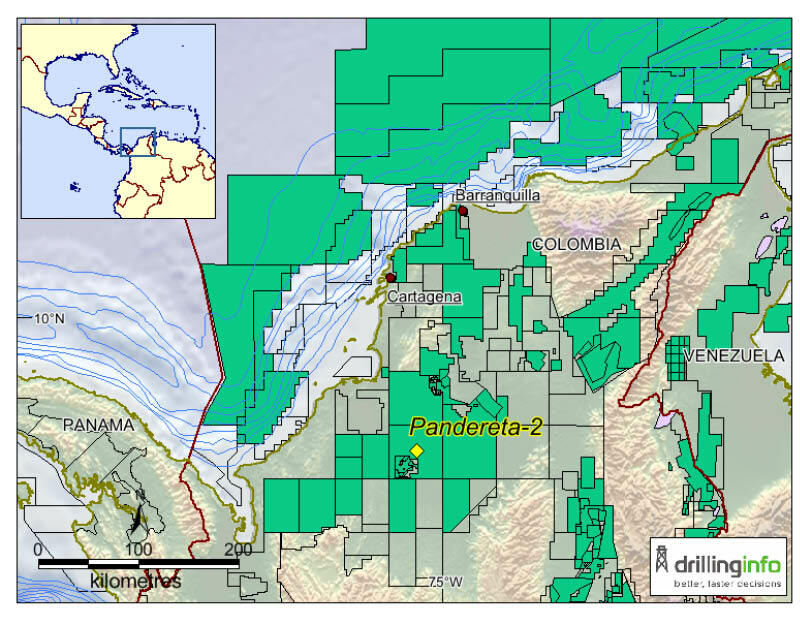 Location of Canacol's Pandereta 2 appraisal well in Colombia's Lower Magdalena Basin VIM-5 Block. Image source: Drillinginfo. In mid-January 2018, Canacol announced that its Pandereta 2 appraisal well in Colombia’s Lower Magdalena Basin VIM-5 Block intersected twice as much net gas pay in the Ciénaga de Oro (CDO) Formation as the Pandereta 1 discovery well had done. The appraisal well found 39.6m of net gas pay with average porosity of 23% in the upper part of the target Oligocene CDO sandstone reservoir, compared to 19.5m in the discovery well, which lies around 1 km east. Spudded on 3 December 2017, the well reached a TD of 2,938m in mid-December. Canacol is currently drilling the Pandereta 3 development well about 1.5 km north-east of Pandereta 2, which will be followed by the Gaiteros 1 exploration well on the same block, also targeting the CDO reservoir. The company owns the block 100%. Angola is set in the next decade to overtake Nigeria as the biggest oil producer in Africa. We look at the milestones in the country’s rapidly expanding oil and gas industry.